Researchers from British Columbia’s CHIME (Canadian Hydrogen Intensity Mapping Experiment) discovered a new mysterious radio wave signal coming from space. The signal is what is known as “fast radio burst”, a spike in radio wave activity from a region of space, and so far, only about 2 dozen of these events have been observed and recorded by astronomers. What Is A “Fast Radio Burst”? As stated previously, the term “fast radio burst” (FRB henceforth) refers to a high-energy astronomical phenomenon which manifests as an observable spike in radio wave activity coming from a region of space. Although earth is receiving electromagnetic signals from space all the time due to cosmic microwave background radiation, FRBs are easily distinguished from background radiation due to their unique energy profile and timing. 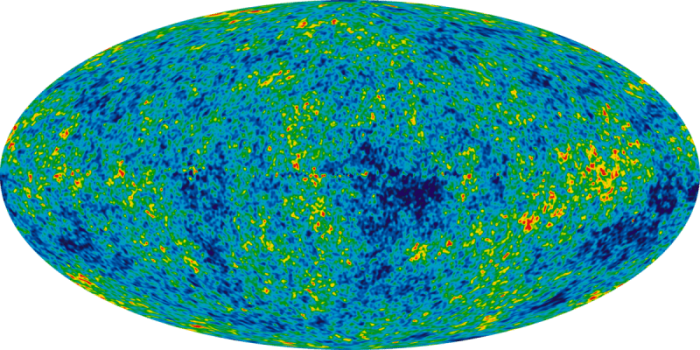 FRBs are a relatively newly discovered phenomenon in cosmology, as the first known FRB was recorded in 2007 by two astrophysicists from WVU, Duncan Lorimer and his student David Narkevic. Lorimer and Narkevic discovered the FRB by reviewing archived astronomical records dating back to 2001. The first known FRB was recorded on 24 July 2001, coming from an area in the direction of the Small Magellanic Cloud. Since then, the majority of FRBs have been discovered by reviewing archived data, but in 2015, researchers at Australias CSIRO Parkes Observatory reported that they detected an FRB event in real-time emanating from a distant elliptical galaxy. So far, CSIRO’s discovery marks the only purported known source of an FRB event, although there is still some disagreement in the scientific community surrounding CSIRO’s claim. FRBs typically last just a few milliseconds, although some have been found to be periodic and repeating. Notably, these events are associated with a signal dispersion much larger than one would expect if the signal had originated from inside the Milky Way galaxy. Thus, it is likely that FRBs are of an extragalactic origin, and come from the far reaches of our universe. There is still no accepted explanation for the occurrence of FRBs, but many potential explanations have been offered. FRB’s appear very bright even from extremely far distances, so the processes that create them must be extremely energetic. One proposed explanation holds that FRBs result from the collision of two extremely massive objects, like two merging black holes or colliding neutron stars. Some propose that FRBs are a result of the activity of magnetars, a kind of neutron star that emits a powerful magnetic field. Still, others think that FRBs might have an intelligent extraterrestrial origin. Of course, FRBs could have multiple sources, and all of these could be legitimate explanations for their existence. The FRB was detected by CHIME at the on 25 July 2018 at approximately 6 pm. 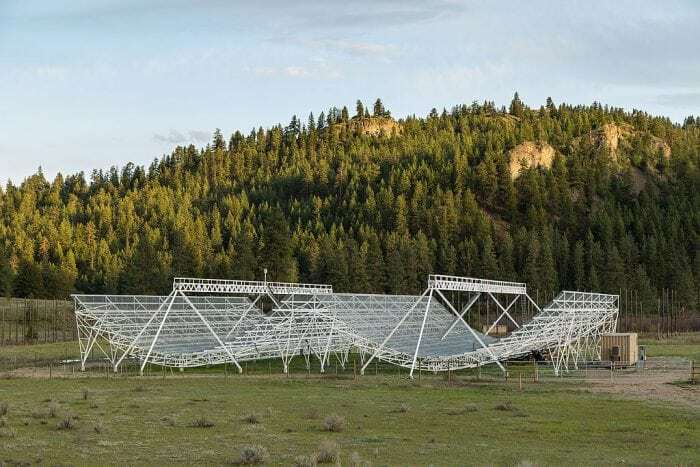 To detect the FRBs, CHIME has constructed a massive radio telescope, formed out of connected segments of half cylinders. Radio waves are ideal for probing the structure of the universe as they can travel long distances through the space relatively unimpeded. The rounded shape of the cylinders reflects radio waves to the receiver, and the receiver then compiles the data into an intelligible form. 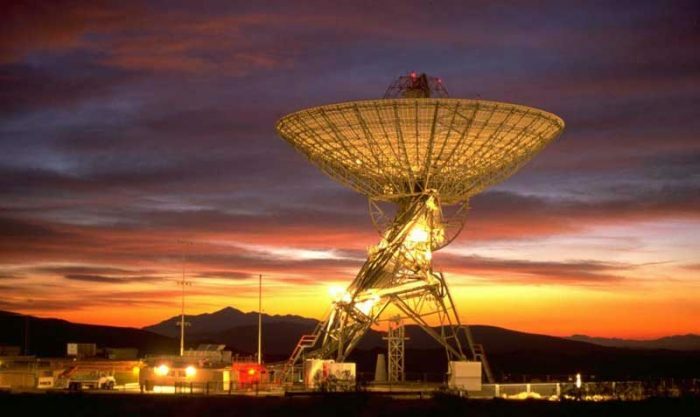 Each receiver contains over 200 separate antennae for detecting radio waves and according to CHIME’s website, the telescope is capable of processing over 100 billion bits of data per second. Notably, the telescope at CHIME has an approximate 200-degree field of vision, giving it an enormous possible search space for astronomical phenomena. For reference, the famous Hubble Space Telescope only has about a 10-degree field of vision. The detected event, dubbed “FRB 180725A” was approximately 2 milliseconds in duration and had a signal dispersion measure of 716.6 pc/cm3. The average dispersion measure for a signal originating from within the Milky Way galaxy is between 60-70 pc/cm3. Thus, there is very good evidence that this FRB originated from extremely far away in deep space. 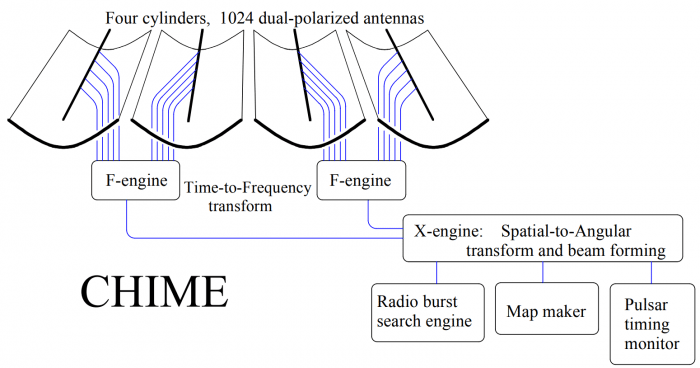 Since the original discovery, CHIME has reportedly detected of a number of smaller FRBs, measuring at ~400MHz. The subsequently discovered FRBs do not correlate with any known terrestrial activity, indicating that they too have an extragalactic origin. The initial report documenting the discovery can be read in full here and a detailed graph of the radio wave information plotted by the telescope can be seen here. The next step for the team is to go over the data with a fine comb to see if they can determine a general location of the FRB’s source. In addition, they plan to go over the data from the CHIME observatory’s first year in commission to see if they can identify any other FRBs detected by the telescope. What follows could see a new chapter in our understanding of the origin and mechanism of these mysterious cosmic events.